I first learned of the concept of “a new kind of normal” at a Women of Faith conference several years ago. A speaker said something along of the lines of “Sometimes things happen in life – sometimes they are good and sometimes they aren’t. We can’t go back in change it instead we must move forward. In turn, we must find a new kind of normal.” It truly resonated with me and has been my life’s goal since my illness diagnosis which took place almost eight years ago. But the thing is, I’m not there yet. This blog has wore the name “A New Kind of Normal” for almost 4 years but honestly I don’t quite have a grip on it yet. I still catch myself looking over my shoulder longing for the old me. The healthy me. The me that still had hopes of running a marathon and sporting a cute baby belly. The me that no longer exists. The trained counselor in me recognizes my loss and realizes that I will still experience sudden temporary upsurges of grief (aka STUGS – take that Dr. D!) The perfectionist in me wants all of that to be behind me permanently. The realist in me knows that its just something I’ve got to come to terms with. Honestly, I’m ok with the grief part of it. I know there will be days where I will mourn my loss of fertility. I know there will be days where I will mourn my loss of health. What I’m not ok with is my longing to be the old me. The thought that if I can just get back to this or do that like I used to, I will be ok. I want to be rid of that. I want to be rid of the guilt of not being able to do everything I think I should be able to do. The guilt that somehow I am letting my family down by not being healthy like I once was. I want to be rid of the shame that I am sick and that sometimes I have to say no and that sometimes I have to cancel plans. I did nothing to cause my illness and honestly nothing short of a miracle cure is going to take it away so I know that I have no reason to feel guilty or ashamed. I know that but I just don’t feel that. The new me is something I should still be proud of. I may have lost my ability to run a marathon but instead I’ve gained a heart of compassion. I may not have a rock hard body like I’ve always dreamed of but I have a body that hasn’t given up on me yet (and have managed to lose and keep off 35lbs!). I may not be a social butterfly and live it up on the town but instead I have gained meaningful and cherished relationships with others experiencing chronic illness through the magic of social media. I may not have gotten to experience pregnancy but now I have the opportunity to provide support and encouragement to those who are traveling a similar journey. It is not how I would have planned it but every day is a new gift and a new adventure and when I think of all of the good that God has created out of a desperate situation, I wouldn’t have it any other way. 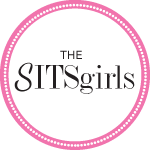 This post was written as a part of the SITS Letting Go Series over the Women on the Move Channel! If you are looking for motivation or inspiration, definitely check it out and link up! You can follow the Letting Go discussion on twitter using the #SITSLettingGo hashtag! Last week was an emotional week for your mama. I was told to be thankful that I got to become a mom the “easy way” since adoption is clearly much easier than pregnancy. This comment brought up all kinds of emotions. First, there was the shock than anyone would have the nerve to say such a thing to begin with. Second, there was anger. I was crying I was so angry. This person was blessed with her 3rd pregnancy in 3 years and she had the nerve to state that I was the lucky one? I never got to see the 2nd line pop up on a pregnancy test. I never got to see the flicker of your heartbeat for the first time. I never got to feel life within me grow and I am supposed to be thankful and GRATEFUL for this? Third, I was hurt. Incredibly hurt. Grief welled up inside me and no longer were my tears of anger but of mourning. I mourned the years of infertility and my hysterectomy that made it impossible to carry life. I mourned our two failed placements in the adoption process. I thought of Mia and wondered where she was and prayed that she was happy and healthy. It is becoming harder to picture her face but her loss in ingrained in my heart. I carried this around for hours waiting for the work day to end so that I could come home to you and to Daddy. And it was when I opened the door and you ran to me with open arms and a huge smile that I realized that you are worth it all. Every hug and kiss was a reminder of the gift that I had been given. No one asks to go through pain and heartache but when there is something as wonderful and special as you waiting at the end of it, how could I complain? I would go through it all again if it meant becoming your mommy. I will still have my moments of sadness but please understand that just because you were not born from my body doesn’t mean that I love you any less or value you any less or would ever wish for another child. I only wish that I could have carried YOU. You are my amazing and special girl. You have taught me more about life, love, and faith in the last 21 months that I have learned in my entire lifetime. You gave my pain purpose. Every day I am thankful that I chosen to be your mommy and have been given the honor to watch you grow up. One day you will understand that you have two families that love you so very much and want the best for you more than anything. You are such a loved little girl. If the road that led me to you is considered the “easy way” I will take it and would do it all over again in a heartbeat.